I’m big fan of black color schemes. 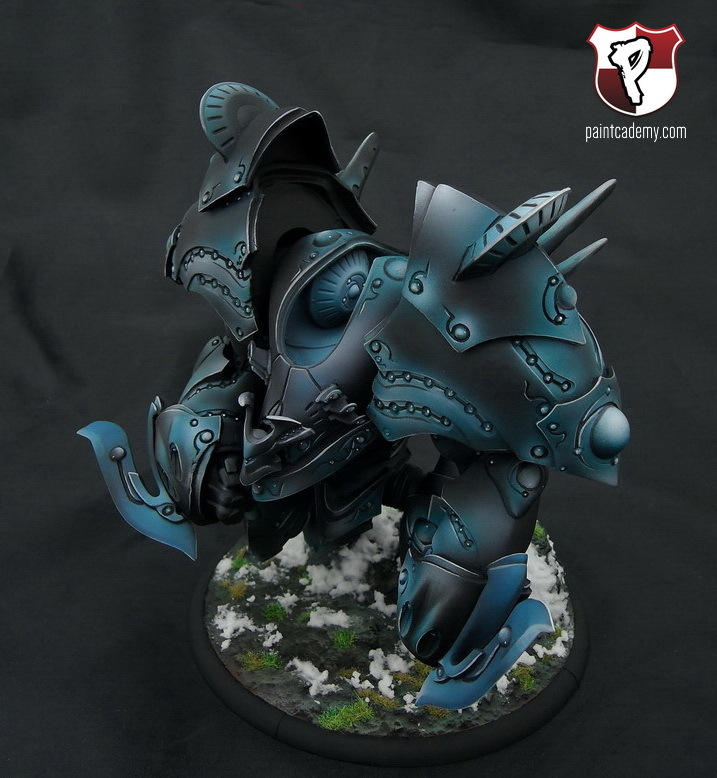 When done correctly it can be very flexible, so it should fit any army and It looks great. 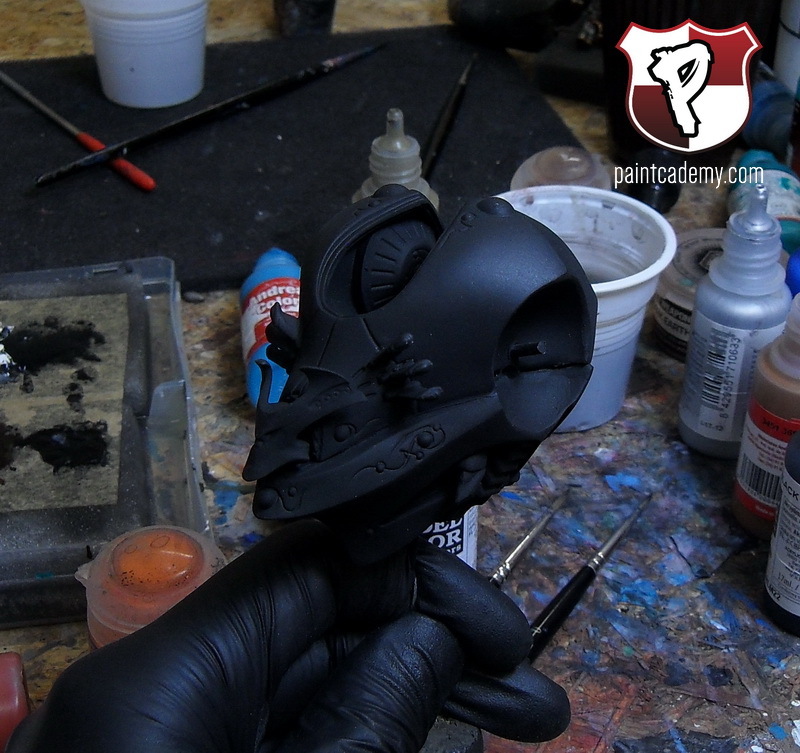 Although the main problem with painting black surfaces is that it often looks gray instead of black. Key is to make the contrast right. 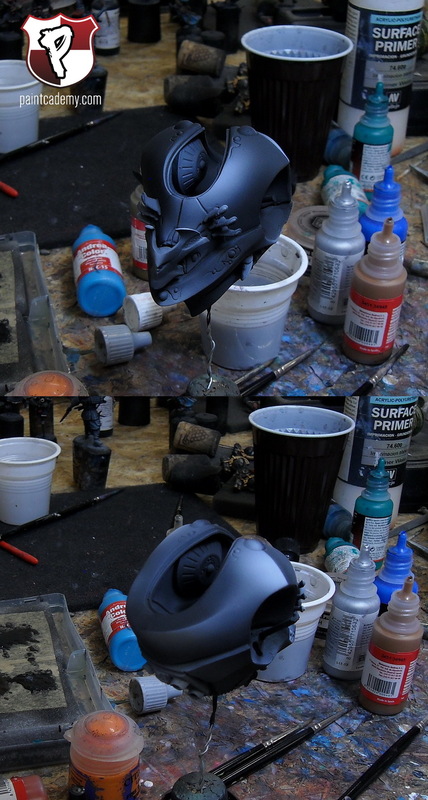 This time we’ll use large model, but I’ll make follow up post about painting black on smaller surfaces. Anyway, lets get started! 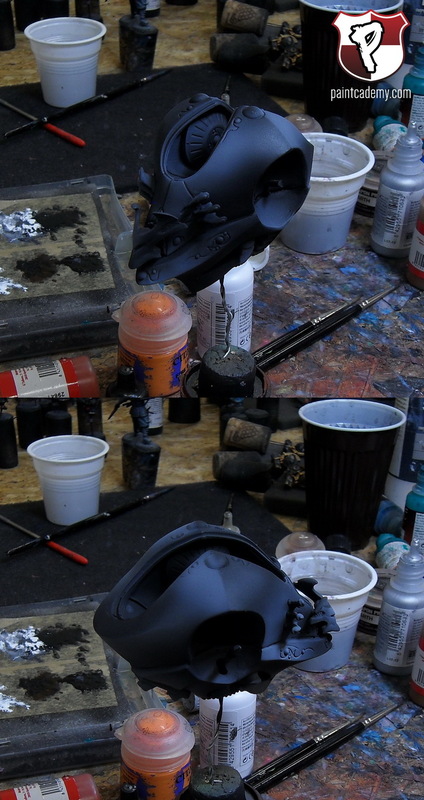 I know it can seems counterintuitive, but even if you used black primer you still need to airbrush a layer of Vallejo Black. That’s because you’ll need exactly the same paint to cover mistakes or create deeper shadows at the end. Now it’s time to mark highlighted areas. Mix white and black to get a bright shade of gray. Since it’s large model you can use its edges to get some sharp lines between different colors. It will create more contrast which looks great on black. Add more white to the mixture and spray areas marked in last step. Try to not cover all those areas, just make the edges brighter. At this point you can use pure white. This step is similar to one before, only this time you need to cover even less space. Also at the end you can use pure black to cover up all mistakes made in process. Your work with airbrush is done, now it’s time to make final accent on the edges. Use regular brush to make thin bright lines on almost all edges. You should use very bright paint, it can be white with a little bit of black. 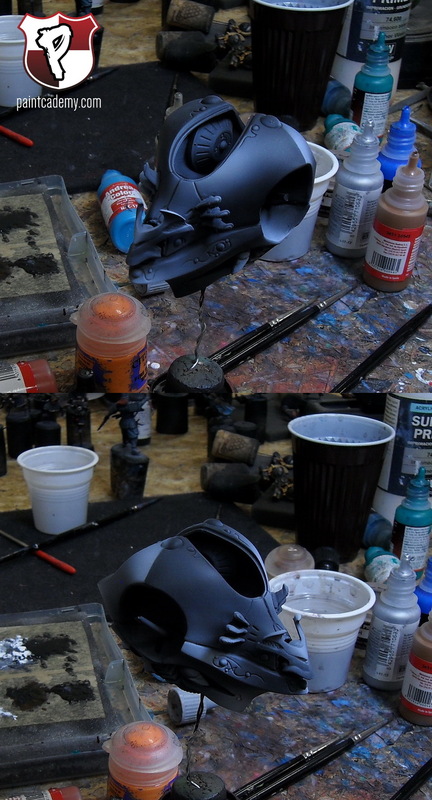 I made this step at the end of paint job, thats why last photo shows finished model. If you have any questions about process, please let me know in comment section.